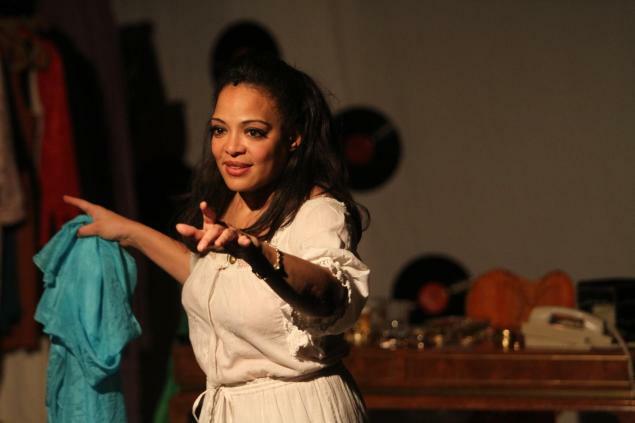 Via: dailynews.com: To raise money for her pet project, Lauren Velez is using a newfangled method of an old-fashioned custom — passing the hat. Velez, the Queens native who co-stars as police captain Maria Laguerta on Showtime’s serial-killer drama “Dexter,” is attempting to raise $100,000 through pledges on Kickstarter.com to help finance an independent film, “They Call Me La Lupe,” based on the turbulent life of the iconic, fiery Cuban singer who died in 1992. But Velez — who starred in a one-woman show about La Lupe in Manhattan last year — said using Kickstarter to raise seed money for preproduction costs was a no-brainer after trying for years to get Hollywood financing . “This is an old-school, indie guerrilla film, and I would have turned to crowd-funding earlier if this existed,” said Velez, adding that she hoped to rally the New York Latino community — especially audiences who saw the stage show — to make pledges ranging from $1 to $10,000. It wouldn’t be the first time the city’s Latino community has rallied behind a Kickstarter project. This summer, the YouTube comedy series “East Willy B,” set in Williamsburg, surpassed its crowdfunding goal of $50,000 in 50 days. “We reached out for people to help the first community-funded Latino sitcom,” on the Internet, said the show’s co-creator, Julia Ahumada Grob. Pledges on Kickstarter aren’t investments. People who donate at different levels instead receive fun gifts and perks. In “La Lupe’s” case, it could be an autographed photo of Velez (for $5) or a night out salsa dancing with her and other cast members — for $5,000. There’s one catch — projects have to hit their goals within a specified time, or the pledge money is returned to donors. With about three days to go, Velez has so far raised more than $44,000. “We’re hoping that the people who loved the show and want to support it will press that pledge button and make this film happen,” said Velez.